How Far is Felicity Garden and Skies? Garden and Skies, A cozy Community of 3.7 Acres with 103 (2-BHK) Duplex Townhouses, covered with lush greenery, abundant fresh Air and A Beautiful Club House. About Locality: Garden and Skies, is located at Attibelle – Anekal Road, Bangalore Urban District. The Project is inspiring in design, stirring in luxury and enveloped by verdant surroundings. Garden and Skies is in troupe with many famous schools, hospitals, shopping destinations, tech parks and every civic amenity required, so that you spend less time on the road and more at home. It is located 18 km way from Electronic City and Sarjapura. The upcoming Domestic TAAL Airport is only 15 kms away from Garden and Skies. Garden and Skies is Attached to the approved 300 feet Ring Road, hence making it a brilliant investment. Internal Walls – Plastered and Painted Internal Emulsion ( Asian / Berger or equivalent make). Exterior Walls – Painted with Apex / External Emulsion ( Asian / Berger or equivalent make ). Bath Room – Ceramic Tiles up to a height of 7 feet. Vitrified tile flooring of 2′ x 2′ for Living, dining and bedrooms with 4″ skirting of the same vitrified tiles. Anti-skid tiles of 1′ x 1′ for bathrooms and powder room. Anti-skid tiles of 1′ x 1′ for Utility with 4″ skirting of the same tile. Bedroom Windows – 3 track UPVC frame with 5mm Clear glass and mosquito mesh in all the Bedrooms. French Window – 3 track UPVC frame with 6mm clear glass. ï Bathrooms ñ UPVC frame with louvers. Kitchen Window – 2 track UPVC frame with 5mm clear glass. Main / Entrance Door – Hand made designer door with Sal wood frame. Shutter made of hardwood with paint finish. Bedroom doors – Flush doors with paint finish. Bathroom doors – FRP doors with paint finish. Hardware – All the doors have stainless steel finish. Closet-Close-Coupled EWC of Jaquar / Cera / Parryware or equivalent make, all in white colour. Wash Basin – Porcelain Wash basin in white colour. Faucets, Wall Mixer and Overhead Shower Jaquar / Cera / Parryware or equivalent make. Wiring – Finolex / Anchor/ Havel’s or equivalent make copper wiring in concealed PVC conduit pipes. Power – 3 KVA power with separate meter for each house. Switches – Anchor / Gold Medal or equivalent make. Electrical points – One TV and telephone point in Living room. Provision for one TV and AC point in both the bedrooms. Provision for chimney and refrigerator in kitchen. Provision for geysers in both the bathrooms of the first floor. UPS – Provision for UPS in each house. Internal Plumbing – Concealed plumbing will be CPVC pipes of Supreme / Ashirwad/ Astral or equivalent make. External Plumbing – Waste water pipes will be PVC Pipes. Grills & Railings – MS Fabricated and painted with synthetic enamel after anti-rust treatment. 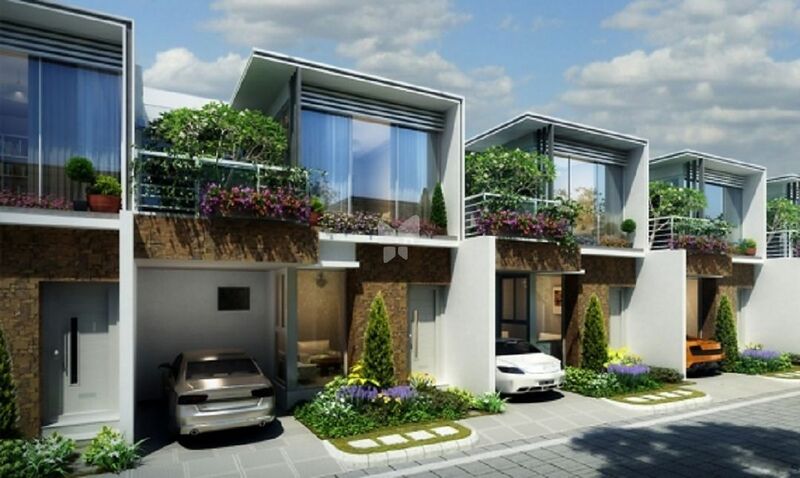 Duplex Town house – 1KVA UPS power back- up for individual townhouses. Common areas – Diesel generator back-up. Felicity Homes has its front office in BTM Layout, Bengaluru of Karnataka. Promoted by Real Estate Tycoon – Mr. Kali Prasad Rao. Offering customized real estate services is an intrinsic aspect of our company. Each custom project, we engage in is unique as per the client’s requirement. Offering the best sites to apartments for buying and selling, we provide value added services with quality and value. Felicity Homes, has the capability to bring the projects to life with the key principles. We communicate with the customers energetically to understand the requirement of the customer and take care of all the aspects involved in the dealing. Our customers identify Felicity Homes, for delivering phenomenal quality and value on time and within budget. We have achieved this through our competent staffs and professionals engaged in buying and selling, with a rooted work culture that has been cultivated in them for years. We Serve you with premier solutions, when it comes to materialization or finding the right real estate assistance in and around Bangalore, with best team of experts at Felicity Homes. 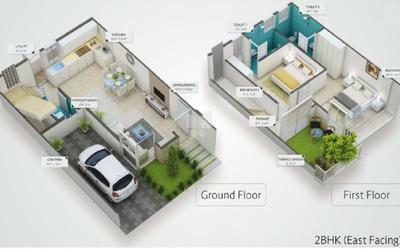 Felicity Homes, endeavors with high professionalism to fulfill the dreams of buyers and sellers. Our projects have established the quality of Planning, Construction and Selling of residential houses and apartments professionally backed by original documents. We have worked on prestigious projects, experience of which ensures quality and timely documentations of the sites ventured.